On November 17th, 2018, Sandestin Golf and Beach Resort and Sandestin Wine Festival will kick off the holiday season with our 6th Annual "Sparkling Wine and Holiday Lights" event from 4-6 pm. 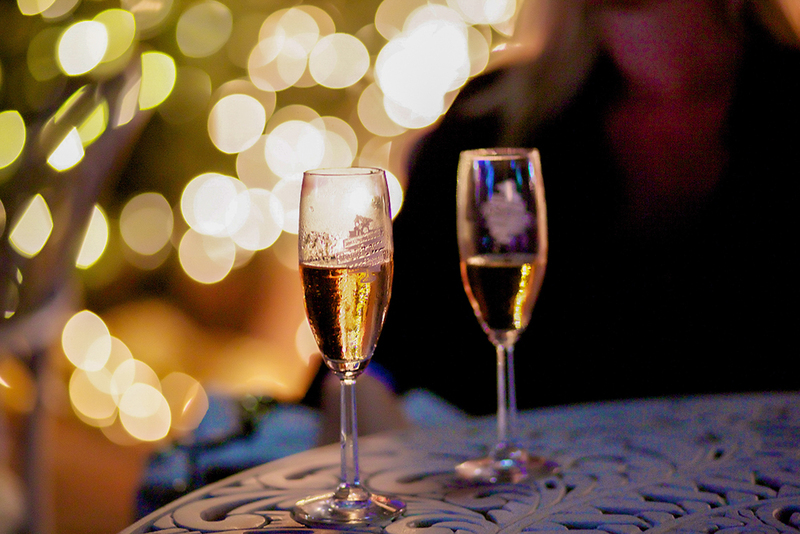 Sparkling Wine and Holiday Lights will take place on the beautifully decorated streets of Baytowne Wharf and feature more than 30 champagnes and delicious appetizers at featured Village restaurants. The event will end with the first tree lighting of the season and Baytowne Wharf's choreographed light show, 12 Nights of Lights.